Blender is a short angled blade, narrow container with a height and lots of motor speed. In a kitchen Blender are mostly used for pureeing, blending, grinding and emulsifying. They are also used to chop and dice herbs, bread crumbs etc. Whereas food processors could much more do than just blending. Available with various attachments, disks and blades, the number of activities it could hold in was overwhelming. It could slice, grate, shred, knead and chop as well. 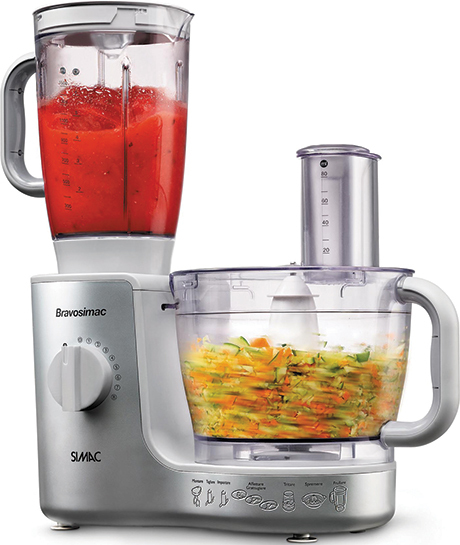 Dicing, chopping, shredding and grating are the main activity that can be done with a food processor. 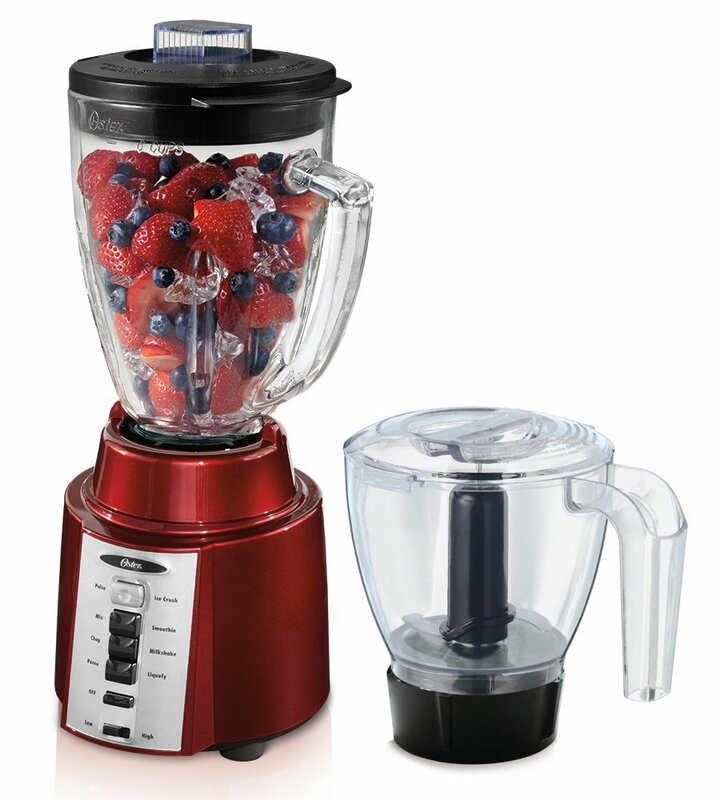 When we get the blender along with a food processor it is an added advantage to the kitchen. This kitchen appliance helps to reduce the amount of time you spend in the kitchen. 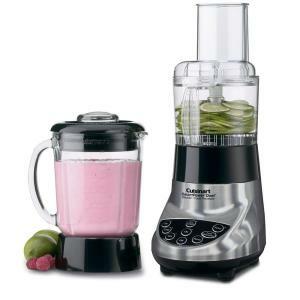 Here are few blender food processors available in market for your convenience. 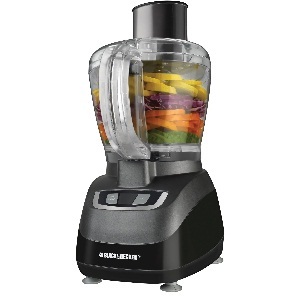 Cuisinart BFP-603 SmartPower Deluxe Blender and Food Processor has a motor capacity of 600-watt. It is made up of die-cast metal housing with stainless steel collar. Feed tube and pusher, slicer and shredder disk and stainless steel chopper blade are the main attachments available with the food processor. Automatic 2-minute auto-stop feature is available for the safety purpose. 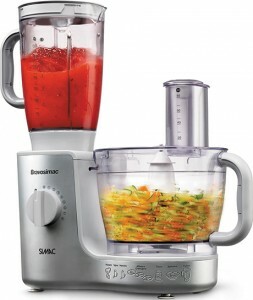 Black & Decker FP1600B 8-Cup Food Processor has a 450-watt motor. It is suitable for slicing, dicing, chopping, mincing, grating, and more.Safety interlock system is available and stops if the lock gets released. The pack includes a stainless-steel chopping blade and a reversible slicing/shredding disc. 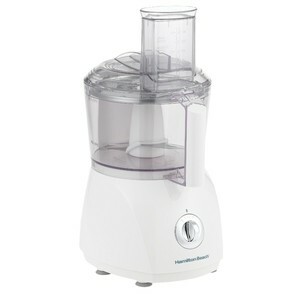 Oster BCCG08-RFP-NP9 8-Speed Blender with Food Processor comes with a power of 450 watt motor. The food processor has a 6 Cup dishwasher safe and scratch resistant glass jar. The jars are thermal shock tested to withstand extreme temperature. 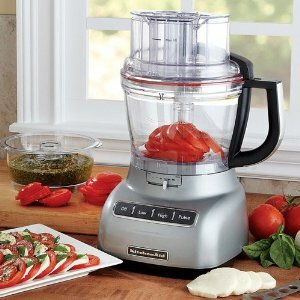 Hamilton Beach 70610 500-Watt Food Processor has a Reversible slicing/shredding disc along with a stainless steel chopping blade. 2 speed options are available that is plus and oversized. Pulse for accurate results and another one is oversized feed chute. KitchenAid KFP1333CU 13-Cup Food Processor may be expensive but it is worth it. It can perform all your kitchen activities without hassle. Kneading, chopping, shredding and grating are the main activity that can be easily done with a KitchenAid Food Processor.